After nearly a decade as our Head Coach and Head of Swimming, Ed Sinclair is stepping back from daily responsibilities to focus on his family commitments and his own successful private swim business. As a result, Teddington Swimming Club is seeking a Head Coach to lead our overall swim programme and work with our existing team of talented and committed coaches. Our expectation is that Applicants will be already part of a coaching team working with national and international athletes within a national organisation, a major club, school or higher education institution, possibly as a lead or squad coach reporting into a nationally recognised Head Coach or Director of Swimming, and now wanting to take a step-up to lead their own swimming programme, build their own brand and profile. Applicants ideally will have had a proven track record of competing at the highest level in the sport; at Olympic, World, European or Commonwealth Games. We see this as an opportunity to take the baton from Ed, build on his legacy and our hard work over the last decade and help take our Club into a new era; further developing a top class programme across all our age groups, motivating and inspiring our athletes to achieve, integrating supporting activities such as land conditioning, nutrition, psychology and having a commanding presence poolside. We would expect you to work flexibly under minimal supervision, be able to plan and prioritise, especially when dealing with incoming emails and calls from parents. You will have evidence of being able to work in team. Although perhaps not a seasoned leader, you will be able to demonstrate your ability to lead teams in a collaborative, supportive and respectful style – someone who people want to work with and for. We have invested heavily in building our coaching team in recent years and we value them highly and want them to remain committed to the Club, so it is very important that our coaching team feel you will be someone that will inspire and support them as they develop their own careers. We are very aware that the cost of living in London is high, and that there are opportunities to supplement income with private activities such as one-2-one coaching, clinics at schools or private camps. However, our expectation is that you will work full time for the Club and that any private professional activities will be very limited and only with the prior approval of the Club’s executive committee. We have set compensation at a level that we believe reflects both the calibre of candidate we hope to attract and level of commitment we expect but are prepared to be flexible. Teddington Swimming Club aspires to be known as a Club that delivers a nationally admired and respected swim programme. We want to be held out as a role model club for what’s possible for our scale and access to facilities. We want to take the next step to compete consistently for a London Region Arena League podium placing and increase the number of National Qualifiers. You will want to share this vision and be able to demonstrate that you will be fully committed to the Club – and join us to become part of an exciting future. Operational Plan (approx. 15% of time). Create in association with the Club’s Executive Committee a four-year operational plan (coaching, conditioning, support services, competitions, training camps and performance culture) to produce top level (National) swim performance by those involved in the Club’s swim programme. 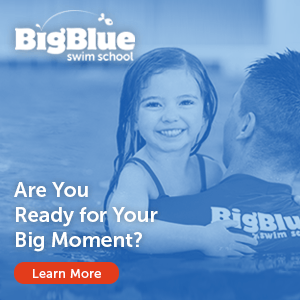 Regularly monitor and evaluate the plan to assure optimal results and take responsibility for selecting swimmers to compete at local/national competitions, swim camps and other events. Coaching (approx. 70% of time). Define, develop, implement and drive, in association with the other coaches, a progressive programme of swim sessions each week to achieve optimal results and performance at Regional, National and Arena League competitions. Use experience to develop pioneering approaches in the delivery of optimal swim performance in consultation with your network of colleagues in the areas of technique, strength & conditioning, sports science and sports medicine. Participate in Club meetings/forums (routine and ad hoc) set up to develop the scope/understanding of the Club’s programme. Develop and uphold administrative/financial procedures to underpin the smooth, efficient and secure operation of the Clubs Swim programme. Promote the TSC programme to County, Regional and National organisations and portray a positive and professional image at all times. Fulfill a key role in attracting the West London’s leading swimmers to the Club. Support initiatives to develop income for the Club, such as an Open Gala. You will be expected to maintain good relationships with the pool operators (principally The London Borough of Richmond Upon Thames and local Schools); and to build relationships with The University of Kingston Upon Thames and/or St Mary’s University. Interested candidates should submit their CV and a short covering letter to [email protected] by 20thJuly 2018. We expect to “short list” w/c 27thJuly and interview (probably by video call on Google hangouts or equivalent) shortly after and invite our preferred candidates for a poolside assessment/in person meeting, probably immediately after the British Championships. We would hope to be in a position to appoint early in August.